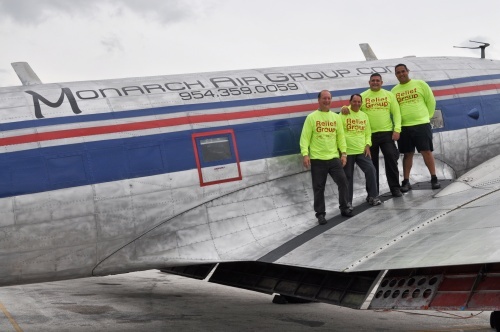 As hurricane Irene ripped through the Bahamas, Monarch Air Group was preparing to help. They teamed with the influential owners of a private Island in the lower Exumas, called Bell Island who have donated a huge amount of food water and other immediate necessities. Monarch Air Group, using their expertise in niche logistics was able to rush food and water and roofing supplies to the most needy victims of this powerful hurricane. The residents of Long Island in and around Deadmans Cay were very badly affected and received a personal visit from the Prime Minister, Hubert Ingraham on Saturday August the 27th.